Grave risks clearly linked to the toxic emissions from fracking include cancer, respiratory problems, endocrine disruption, low birth weight babies, birth defects, high infant mortality and more. Over 1,300 peer reviewed public health studies have shown negative health and safety impacts from fracking too close to people, which is why states like New York and Maryland and countries like Ireland, France and Germany have banned it outright. Fracking fouls our air, water and climate and deteriorates home values. Over 2,200 complaints have been filed with the COGCC since January 2015, and stories continue to emerge about people living by fracking whose health and quality of life are being ruined. There have been at least 17 oil and gas related explosions in the last year and a half since the Firestone home explosion, several of which have killed or severely burned workers and residents. Colorado Rising was started by local people and grassroots groups across the state who are dedicated to protecting our communities from the hazards of oil and gas development and fracking to public health and safety. Click here to see the growing number of endorsing organizations and community leaders who are taking a stand for Coloradans’ health and safety over fracking. In 2018, we worked to pass a statewide statutory law that would’ve established common sense buffer zones between fracking and occupied buildings – like homes and schools – and areas of special concern – like playgrounds and drinking water sources. Since health studies show harmful effects to people within a ½ mile of fracking operations, the ballot initiative would have established a buffer zone of 2,500 feet (almost ½ mile) from these operations and occupied buildings or areas of special concern. Fracking is harming much of what we all love about living in Colorado and why so many people like to visit – the fresh air, clean water, beautiful landscapes and a safe place to raise our families. Colorado Rising formed to protect our communities from the dangers of fracking. A statewide ballot initiative to protect our health and safety is badly needed. Here’s why: Currently, fracking operations are allowed to take place just 500’ from a home and 1,000’ from a school building (and right by school playgrounds). The industry has shown blatant disregard for public health and safety, and the current state regulatory body – the Colorado Oil and Gas Conservation Commission (COGCC) – has not provided responsible protective regulatory oversight to prevent inappropriate siting of toxic fracking operations adjacent to homes, schools and water sources. Around 2010, five Colorado communities passed local initiatives to place local moratoria or bans on fracking in their city limits. The Colorado Supreme Court sided with the Colorado Oil and Gas Association and overturned the community protections, ruling that the State has pre-emption. People fought for 2 statewide ballot initiatives (75 and 78) that would have allowed local community control of fracking and increased buffer zones between occupied buildings and special areas to 2,500 feet. In just 3 months, these 2 initiatives together garnered over 200,000 signatures and nearly made the statewide ballot (despite the fracking industry spending over $14M in slick PR campaigns against the initiatives). In 2016, the initiatives missed placement of the initiatives on the statewide ballot because the Secretary of State’s Office rejected too many of the signatures for pedantic reasons, dropping the petition signers just below the required number. Despite this disappointing setback, the movement to protect our communities from fracking has continued to grow and build support for a successful initiative effort in 2018. The Colorado Appeals Court ruled in the Martinez vs. COGCC decision that the state’s Colorado Oil and Gas Conservation Commission (COGCC) must protect health and environment before permitting oil and gas drilling, siding with Xiuhtezcatl Martinez and other youth plaintiffs, saying the protection of public health and the environment is “a condition that must be fulfilled”. In a shocking move, the COGCC and Colorado’s Attorney General filed to appeal that decision. April 17, 2017 – An Anadarko well which had an open gas line venting gas under a house in Firestone caused it to explode, killing two brothers-in-law, Mark Martinez and Joseph Irwin III, and seriously burning a mother and local teacher, Erin Martinez. Fortunately the child in the home survived by jumping from a second story window. There have been at least 15 explosions and fires at oil and gas sites since the tragic Firestone explosion. Hundreds of people have testified at public hearings demanding that the COGCC drop their appeal of the Court’s decision on Martinez vs. COGCC, which said that the COGCC must consider public health and safety as a precondition to permitting fracking. 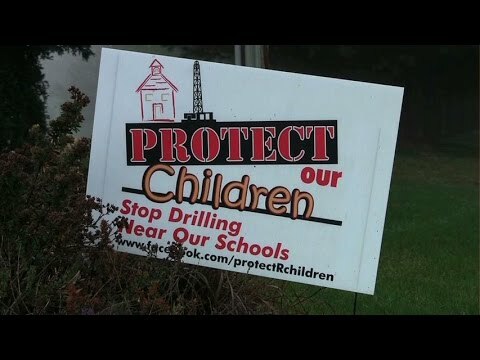 The industry’s increasingly callous disregard for requests to place drilling at a safer distance from homes and schools and the State Legislature’s inability to pass legislation in 2017 even to increase setbacks 1000′ from school grounds (rather than school buildings) subjecting CO children to toxic blast zones right by their playgrounds. A growing body of public health research showing that living too close to fracking, especially less than ½ mile, is a serious risk to health and safety. Over 1,100 complaints in one year alone to the COGCC and stories being shared on traditional and social media about people living by fracking whose health and quality of life are being ruined. Numerous reports of farmers, ranchers and other land and homeowners whose property has been contaminated and property values decimated. In many cases property owners are being “force pooled” – forced to lease their mineral rights and have fracking in their neighborhoods without their consent. Colorado Rising, which is comprised of many of the grassroots groups and activists who worked hard on the 2016 effort and many new allies, launched a 2018 ballot initiative effort armed with all the knowledge acquired last time, and thanks to incredible volunteer efforts we made the 2018 ballot with Proposition 112! In early 2018, we submitted ballot initiative language for a statewide statutory ballot initiative to protect public health and safety from fracking by establishing buffer zones of 2,500 feet between new oil and gas operations and occupied buildings, such as homes and schools, and other vulnerable areas, including water sources and playgrounds. A 2,500 foot buffer zone (almost ½ mile) is strategically based on polling and health studies that show harmful effects, such as cancer, difficulty breathing, low birth weights and birth defects, on people living within a ½ mile of fracking operations (especially vulnerable populations like children and the elderly) and public safety data regarding the impact zones of explosions, fires, leaks, and plumes. This will provide much needed protection for all of our communities. We hired a signature gathering firm with a long history of success to supplement volunteers’ efforts. Prior to circulation of the required printed ballot initiatives, we asked everyone to share our online Pledge to Sign, so we could tangibly build support and awareness for the initiative, educate people, gather volunteers, recruit endorsers, and accept donations in advance of launching the signature gathering campaign. Pledgers were notified when and where to sign once petitions were ready. Throughout the winter and spring of 2018, we created a statewide network of volunteers to help with signature gathering, outreach, fundraising and education, with the help of a growing list of endorsing partners. Volunteer trainings in communities throughout Colorado began in February and are ongoing. On April 6, 2018, the ballot initiative language was officially approved by the Colorado Supreme Court. See our press release. Our initiative overcame all the arguments from the oil and gas industry and prevailed! This approval represented the final hurdle before statewide signature gathering could begin. From mid-April until August, more than 650 Colorado Rising volunteers worked in their communities throughout the state, collecting signatures. We had until August 6th to collect approximately 100k signatures in order to qualify for the November 2018 ballot. On August 6th 2018, we turned in over 172,000 signatures for our “Safer Setbacks from Fracking” initiative to the Secretary of State. We send a huge thanks to all of our supporters who made this enormous grassroots achievement possible! On August 29th, the Secretary of State certified the count of valid signatures and approved our initiative for the state-wide November election! Tuesday, November 6th was election day. Although Proposition 112 garnered over 1.1 million votes, we did not achieve a majority and Prop 112 did not pass. Despite being opposed by a $40 million propaganda campaign, support for similar protections is still very strong and Coloradans remain concerned about the impacts of oil and gas extraction on our communities. OUR MISSION STATEMENT: Colorado Rising is a statewide grassroots coalition of people and organizations working together to protect our communities from the dangers to public health and safety of fossil fuel operations – from extraction to combustion, to promote the transition off fossil fuels, and to protect our environment for future generations. Colorado Rising engages in community empowerment, education, litigation and policy efforts to support the growing public demand for protection for our communities from the serious impacts of fossil fuel activities on public health, safety, our environment and global climate. There is still much to be done, and now is the time to get involved to help us win. We need volunteers with all talents, so if you care about the health and safety of all Coloradans, please join us.